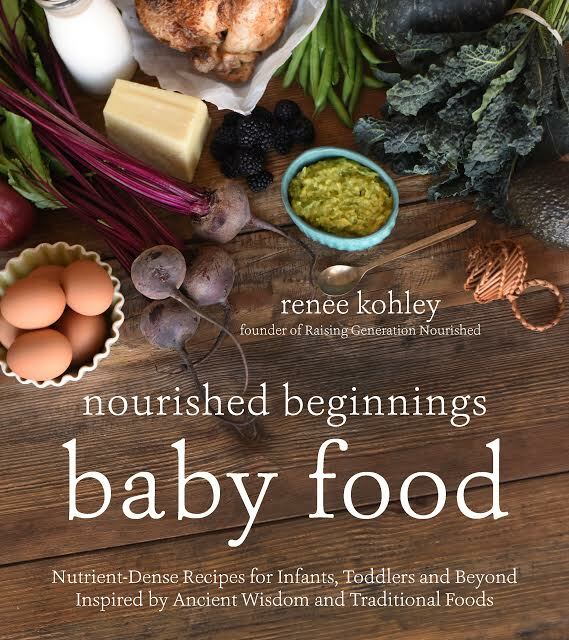 There is just nothing like the anticipation of spring and fresh raw veggies to go with it! I am getting rather ansty to see our snow go away although we have a good month left. If you follow my dinner plans on Facebook, or my girls’ lunch posts on Instagram, you probably have seen I’ve been on a salad kick lately. That is some because I truly am craving them – I think my body is ready for a spring cleanse. And it is some because in the winter there isn’t a lot of other produce options around here! I usually make a container of salad dressing for the fridge every Sunday to last us the week. My husband takes his staple Caesar dressing to work every week (don’t ask him to veer from this comfort zone either!) and I have quite a few other popular store bought brands converted into real food salad dressings that we make often. 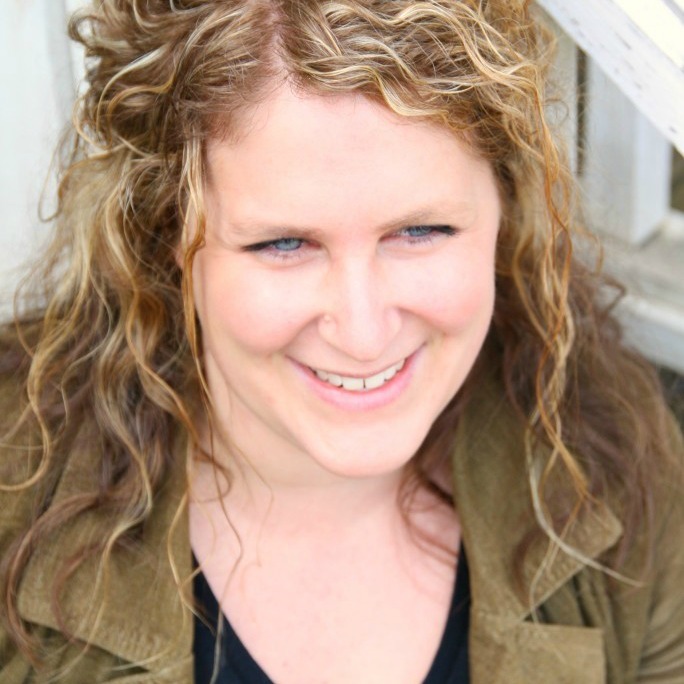 This one…is momma’s dressing though. My girls will eat it although it is probably not as exciting to them as Ranch or the bright red French dressing I make. 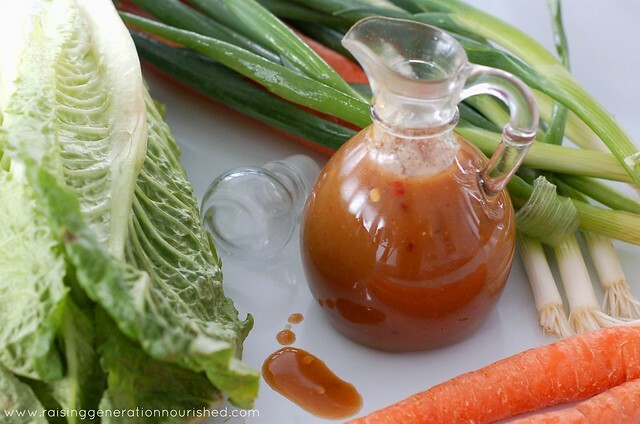 I know you know by know my love affair with all things Asian cuisine so this dressing has my favorite flavors all whisked together in 2 minutes flat (because I still have a teething baby at my hip – I don’t have time for long drawn out recipes all the time!). 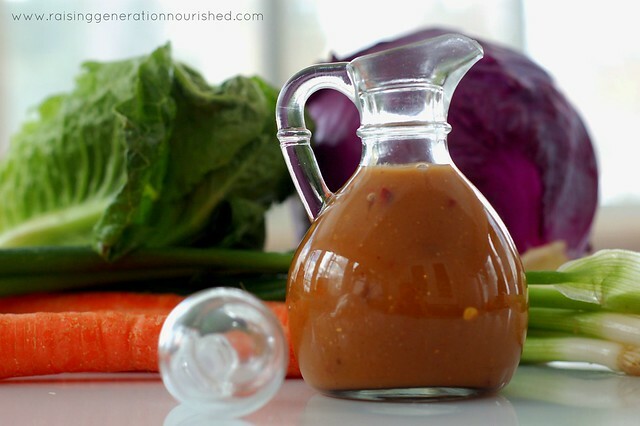 I created it as a spin off from my Thai peanut sauce, and it is dresses up salad greens or any other veggie in such a flavorful way. It is also SO good drizzled over shredded beef in a sandwich wrap! Some simple ingredients whisked together to give you the Asian flavors you crave on your fresh veggies. ½ cup coconut aminos this replaces soy sauce - it tastes just like it! Sea salt/pepper to taste The coconut aminos are naturally salty just like soy sauce – so just be mindful of that – you won’t need much salt! Everything into a small mixing bowl and wisk together! Makes about 1 ½ cups of dressing – store in the fridge for weeks. Double up if you want! Want more Asian cuisine? 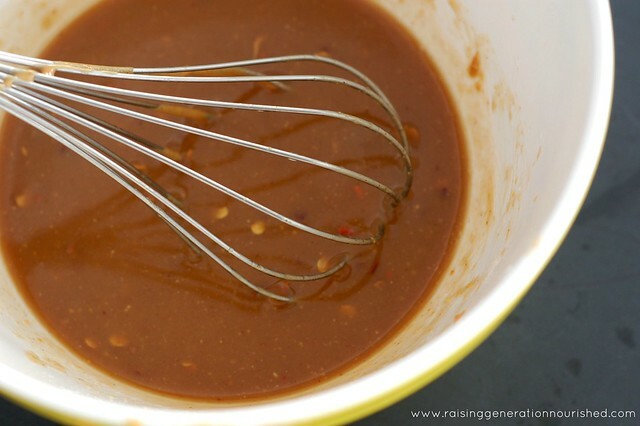 Try my sweet and sour sauce and Thai peanut sauce! 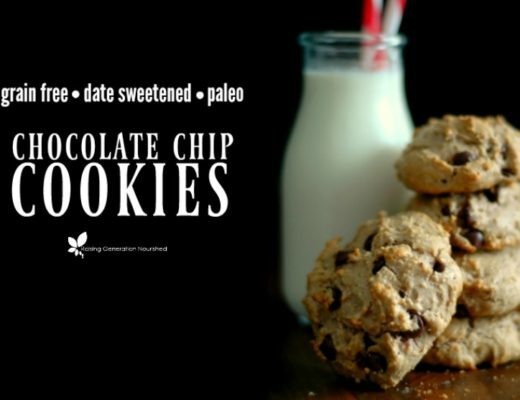 Grain Free Chocolate Chip Cookies :: Date Sweetened & Paleo Friendly! This salad dressing sounds so yummy! I love those flavors. Pinned. This looks so good! 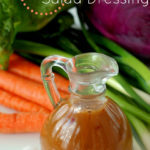 I love these types of dressings to change up my salads. The pictures are beautiful too! That looks amazing! Pinning this for later! This sounds great. I always make my own dressings and sauces (my fridge looks like a science experiment with all those little mason jars in there). And, we love Asian flavors in our house. Thanks for the recipe. 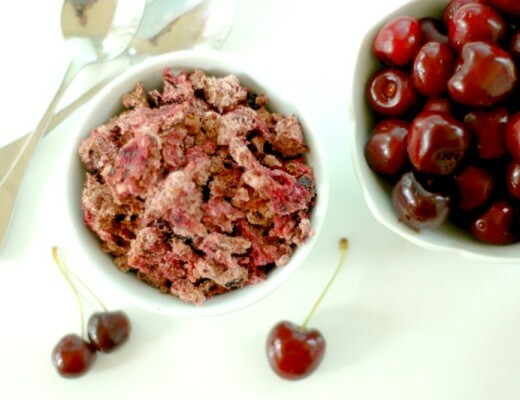 Delicious and easy – my kind of recipe! Can’t wait to try it! This sounds delicious! 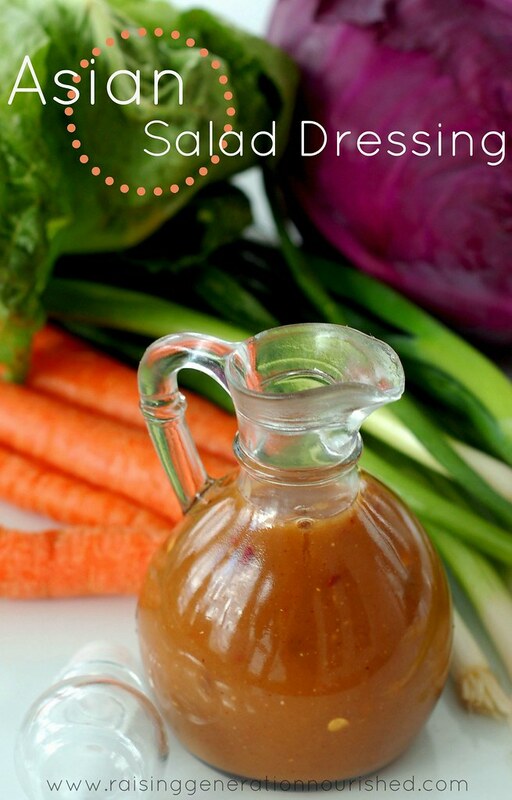 I love making my own salad dressings. Do you think it would still taste good without the ginger? I hate to sound picky (because I used to be really picky!) but we just hate ginger in our house. lol. It’s the one reason I never make Asian cuisine because it always calls for ginger! 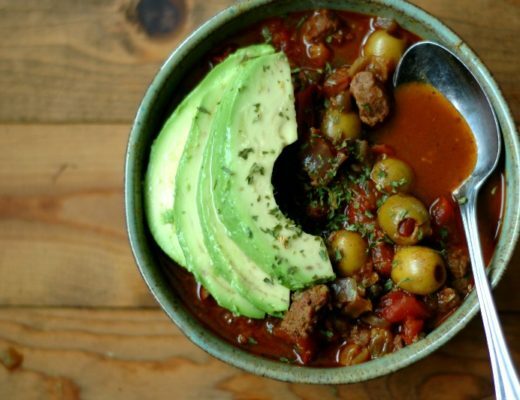 Thank you, this recipe looks great! I think I’ll use avocado oil and a little bit is sesame. Can other nut butters be used? What do you recommend? Hi Sally! Yes absolutely! I use almond butter most of the time actually! And if you use sunbutter that works well too!